This is a labeling method i came up with to help me stay organized with all the midi cables I have connected to my music hardware in my studio. 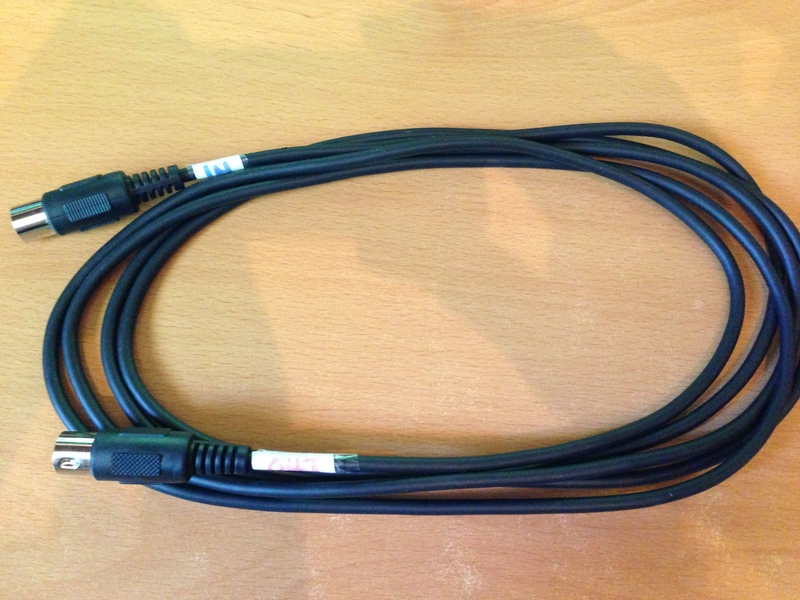 All of my midi cables are solid black with no markings and that can be a headache if you need to reconfigure one or two cables for routing purposes. All I did was write “IN” with a blue marker on white paper and taped it to one side. Then wrote “OUT” with a red marker on white paper and taped it on the other side.